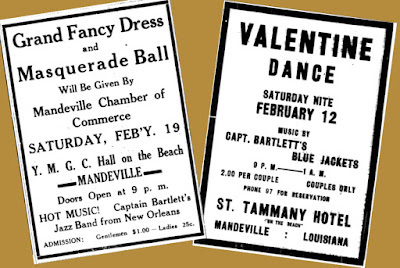 In 1929, the following advertisement was distributed by the Mandeville Chamber of Commerce. 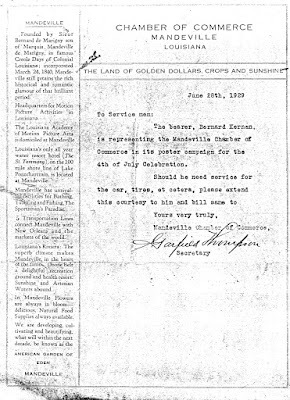 It was even printed on its letterhead. 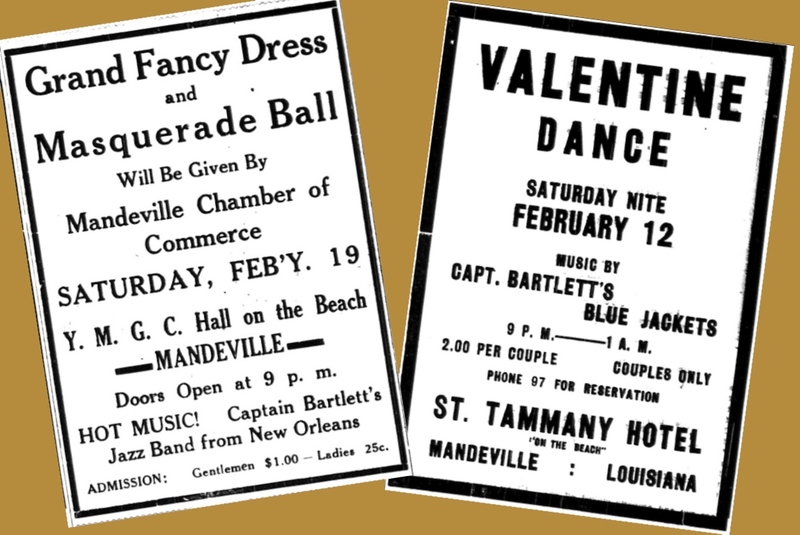 Founded by Sieur Bernard de Marigny, of Marquis Mandeville de Marigny, in famous Creole Days of Colonial Louisiana; incorporated March 24, 1840, Mandeville still retains the rich historical and romantic glamour of that brilliant period. Headquarters for Motion Picture Activities in Louisiana, the Louisiana Academy of Motion Picture Arts is domiciled at Mandeville. 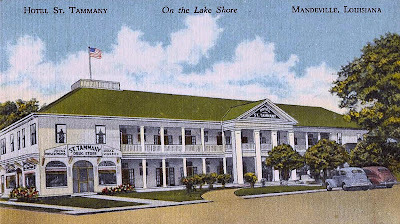 Louisiana's only all year water resort hotel, The St. Tammany, on the 100 mile shore line of Lake Pontchartrain, is located at Mandeville." 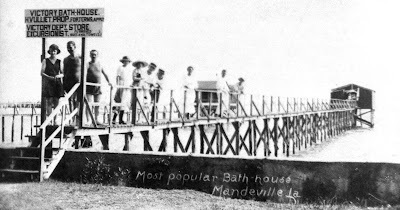 The Victory Bath House was the first public bath house building in Mandeville. 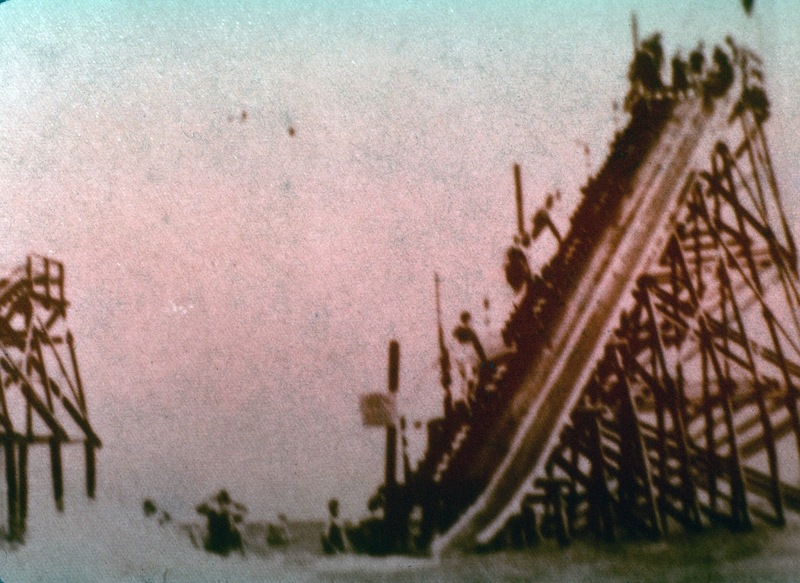 They were popular in the early 1900's. 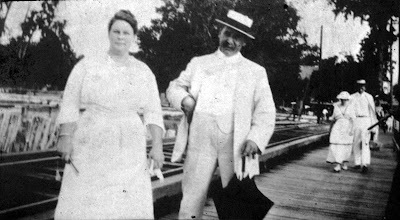 It was owned by H. Vulliet. 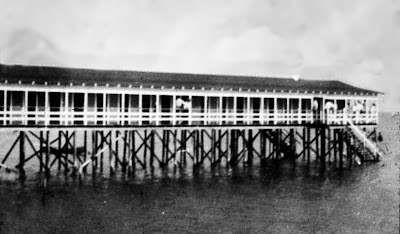 "Mandeville has unrivaled facilities for Bathing, Yachting and Fishing. 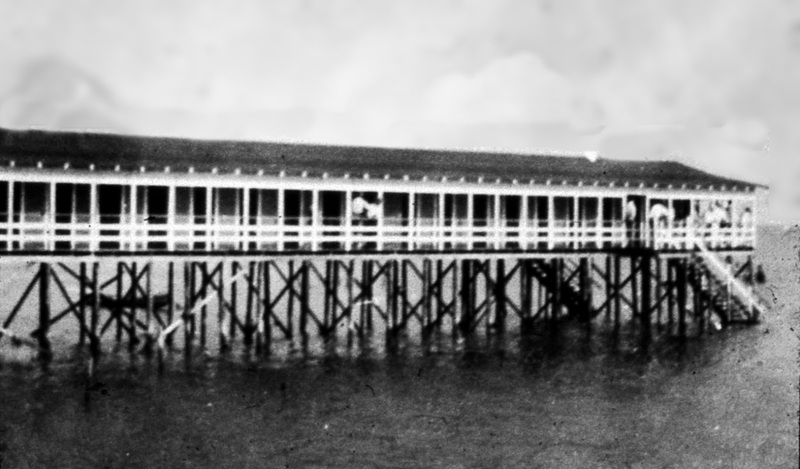 The Sportsman's Paradise." 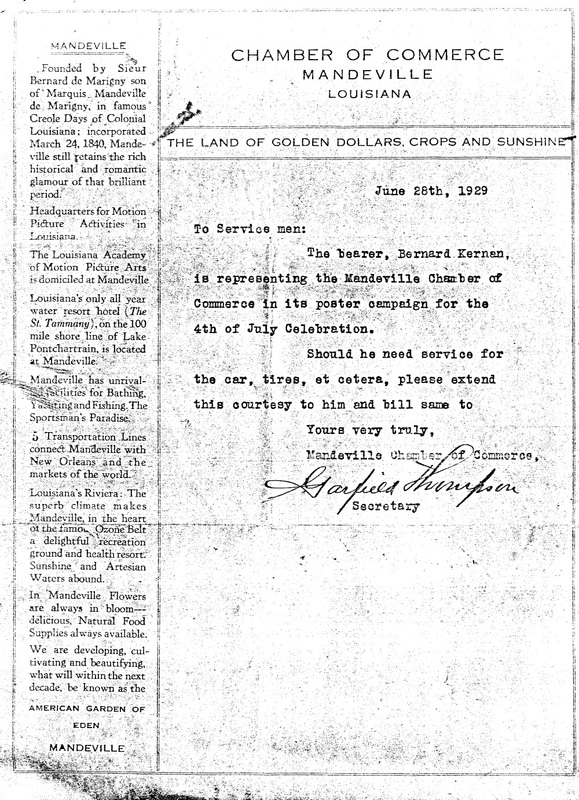 "Five transportation lines connect Mandeville with New Orleans and the markets of the world. 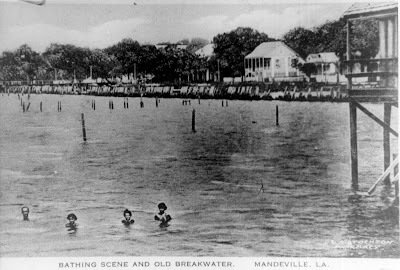 Louisiana's Riviera: the superb climate makes Mandeville, in the heart of the famous Ozone belt, a delightful recreation ground and health resort. Sunshine and artesian waters abound. In Mandeville, flowers are always in bloom, delicious natural food supplies always available. We are developing, cultivating and beautifying what will within the next decade, be known as the American Garden of Eden.... 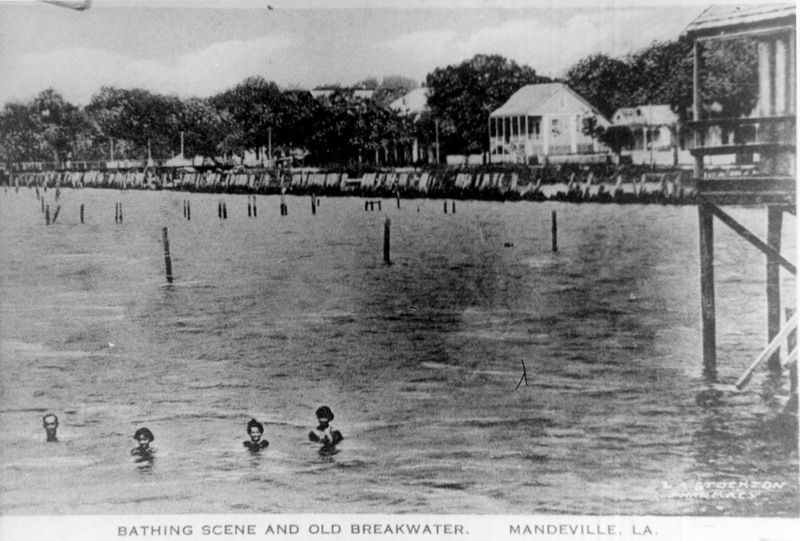 Mandeville." And that was the end of the chamber of commerce's presentation. 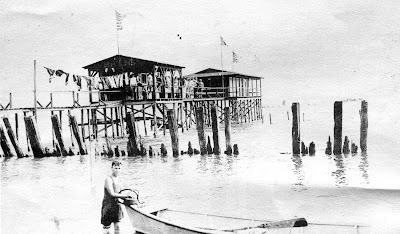 Sounds like the lakefront was pretty developed back then.